Home » Food and Nutrition » How Much Salt Do You Really Eat? Do you really know for sure just how much sodium you eat every day? Most people either greatly underestimate their sodium intake or don’t really bother to keep track. When I ask people about their own sodium intake, they frequently suggest that because they don’t add any salt to their food, they probably don’t really need to worry about salt. This is just not the case at all. In fact, most of the salt you consume is already in the foods you choose to consume. Don’t believe me? Just have a look at the food labels of some common items you buy in your grocery store and check out how much sodium each contains. It seems that many people throughout the U.S. have a problem with sodium consumption. It is no secret that excessive sodium can—and often does—increase blood pressure, especially in those who are sodium sensitive (30%–40% of the population). An increase in blood pressure, if not controlled, can lead to an increased risk of heart attack, stroke, blindness, and peripheral vascular disease. The main reason for this is the shift away from a diet of whole foods to one that is primarily based on processed foods, fast foods, frozen entrees, canned foods, dry goods, snack foods, restaurant foods, and take-out meals. Generally speaking, this type of food has a great deal of sodium added to it. Our lifestyle determines our current health status and our future health outcomes. Sodium consumption is no different. Despite recommendations from leading health organizations like the World Health Organization (WHO), for the most part, people are ignoring the warnings. The current recommendation is to limit sodium consumption to a maximum of 2,000 milligrams (mg) per day. According to new research survey data that covers approximately 75% of the global population, the average sodium intake in 2010 was almost 4,000 mg per day. The intakes varied greatly from more than 2,180 mg per day in North Africa to 5,510 mg daily in Central Asia. According to the estimates, on a global basis, approximately one in every 10 deaths attributed to cardiovascular disease were due to the excessive consumption of sodium. Currently in the U.S., the recommendation of 2,000 mg per day of sodium doesn’t look like it’s within reach for most Americans; since the average is 3,600 mg per day, there is a long way to go before this gets any better. This increase in sodium consumption above the current recommended levels, accounts for an additional 58,000 deaths from cardiovascular diseases every year in the U.S. This is completely unacceptable and unnecessary! The policy should include convincing most people to make some very important changes to their diet, including omitting most of the high-sodium processed foods from their diet and replacing them with fresh fruits, vegetables, whole grains, legumes, poultry, fish, seafood, yogurt, olive oil, nuts, and avocados. This problem would vanish if this happened. 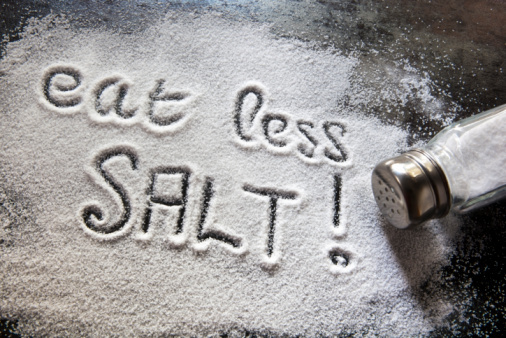 Whiteman, H., “1 in 10 global cardiovascular deaths due to high sodium intake,” Medical News Today web site, August 14, 2014; http://www.medicalnewstoday.com/articles/280895.php, last accessed September 2, 2014.